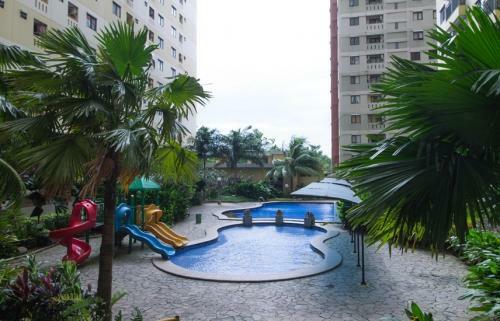 Facility: access card for elevator, Alfa mini market, 24 hours security, pharmacy, laundry (kilogram), mini Restaurant (canteen), swimming pool, children playground, sport center, clinic, spa reflexology, salon, shops. 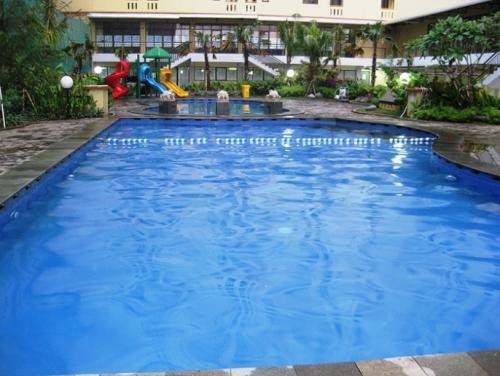 Facility: Free and wide parking area, access card for elevator, Swimming pool, playground, park, jogging track, 24-hours security, mini market, clinic, laundry, drugstore, ATM center, restaurant, salon, etc. 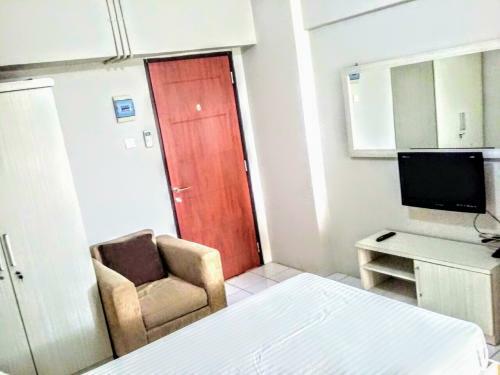 Strategic location, behind Nestle & Aston Hotel TB Simatupang, closed to train station, approximately 30 minutes by car from airport (toll road), Ragunan Zoo (5 minutes), Taman Mini (20 minutes), Kemang 15 minutes. 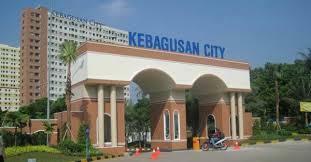 Malls & Supemarkets: Cilandak Mall, CITOS, Poins Square, Pejaten Village (10 minutes), Pondok Indah Mall, Kemang Village, Margo City, Detos. 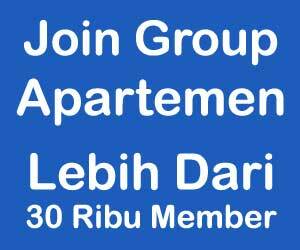 Office buildings: ANTAM, Trakindo, Cilandak KKO, Graha Simatupang, Nestle Arcadia, Oleos, Menara 165, Sovereign, RS Siloam, RS JMC, RS Pasar Minggu (baru), PHE Tower, Departemen Pertanian), Elnusa, Ratu Prabu, Beltway, Alamanda Tower, Menara ESQ. 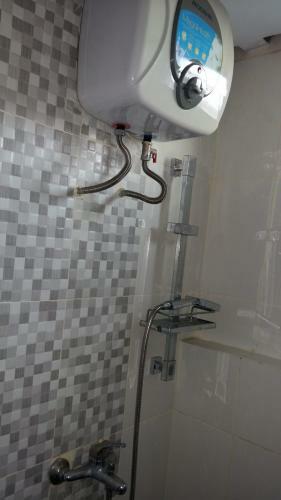 Universities: UI, IISIP, Pancasila, Gunadarma, Tama Jagakarsa. 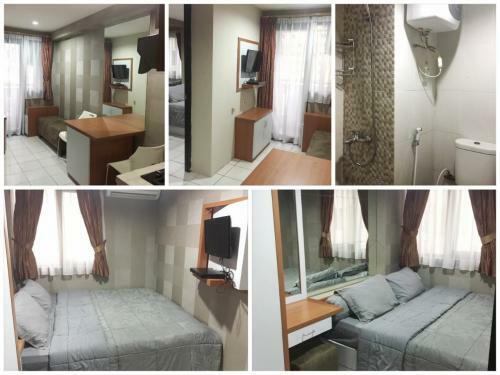 Public Transport: Walking distance (125 meter) to Tanjung Barat train station (commuter), 2,5 Km to Trans-Jakarta Halte Busway (Ragunan Deptan). 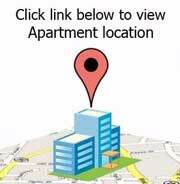 Condition: Fully Furnished. 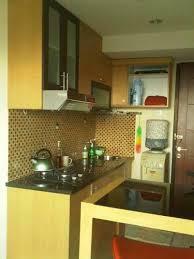 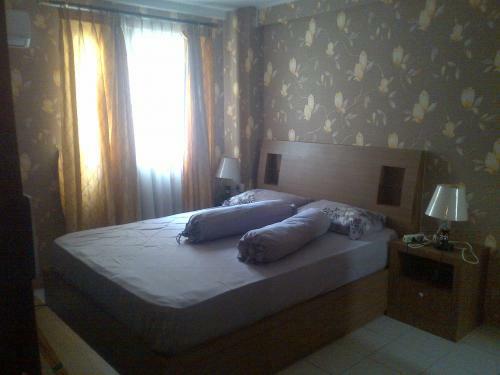 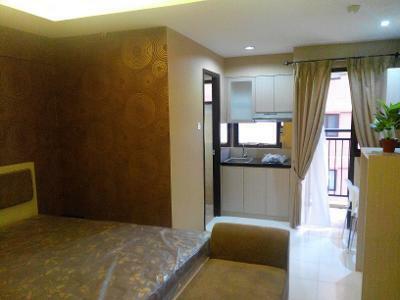 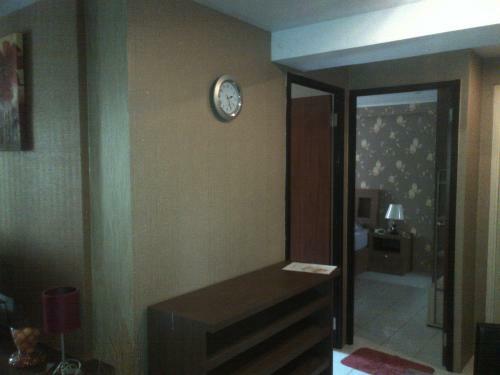 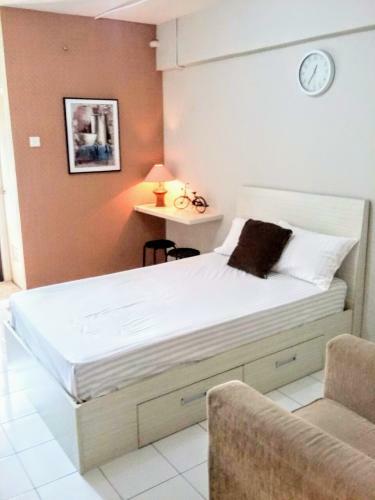 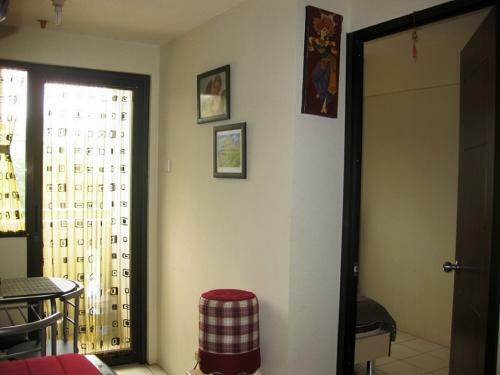 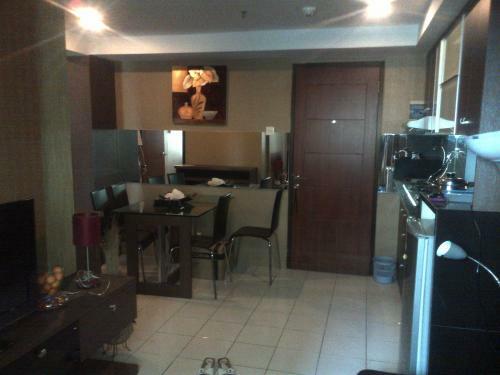 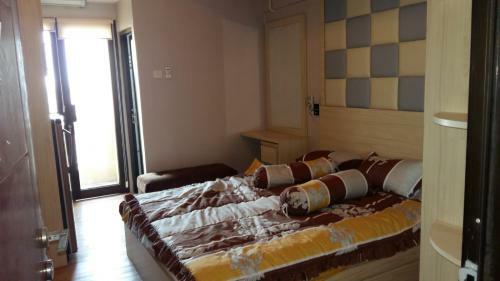 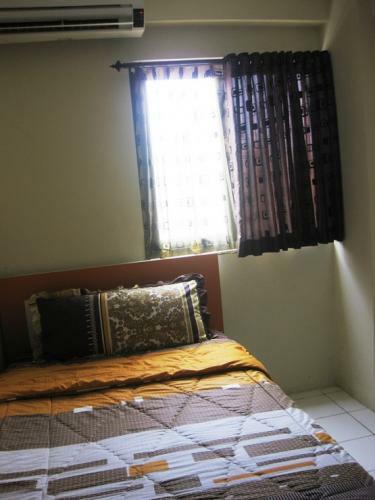 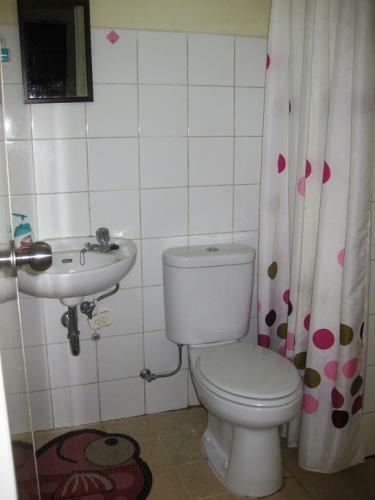 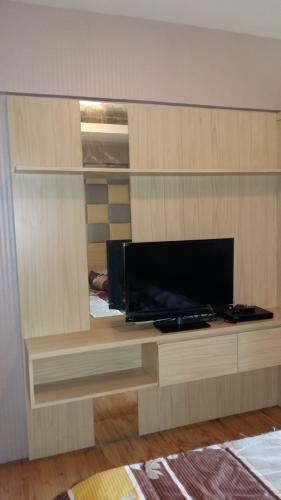 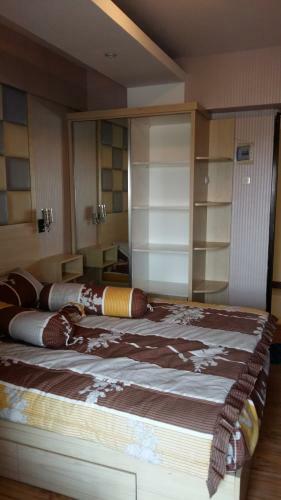 AC, LCD TV, Springbed queen size (studio), refrigerator, gas stove, shower with water heater. 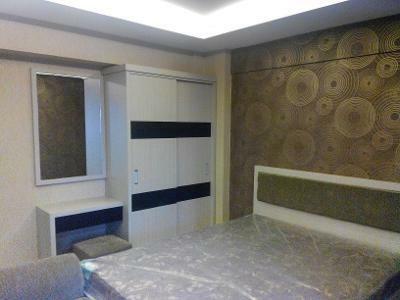 Facility: Swimming pool, Mushola, Minimarket, canteen, ATM, clinic, Laundry, Children playground, Security 24 hours, taxi pool in front of conplex gate, jogging track, etc. 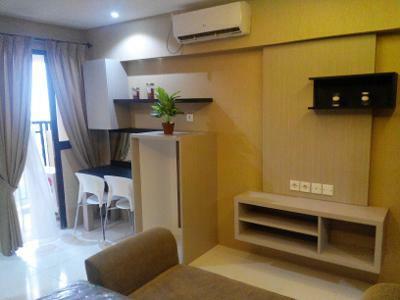 JORR TB Simatupang, Citos mall, Pondok Indah mall, Arkadia office complex (Nestle, BP, Siemens), PHE Tower & Aneka Tambang, (Departemen Pertanian), Trakindo, Elnusa, Ratu Prabu, Beltway, Alamanda Tower, 165 tower, Pejaten Vilage mall, Mall Cilandak, etc. 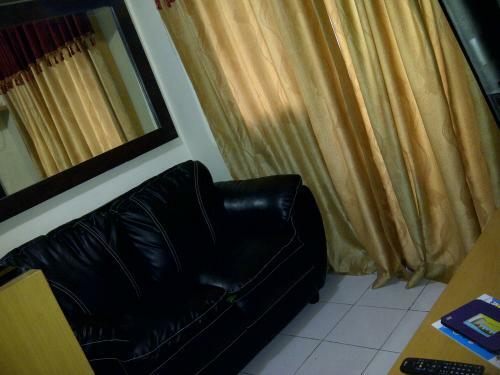 Condition: Clean unit and fully furnished. 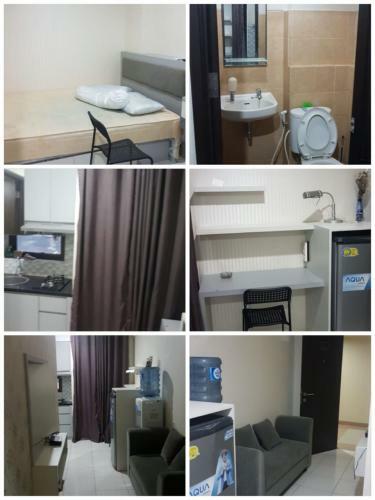 Facility: 24-hour security, elevator with access card, swimming pool, jogging track, parking area, mini market, some local cafe, laundry, pharmacy, playground, ATM center, praying area. 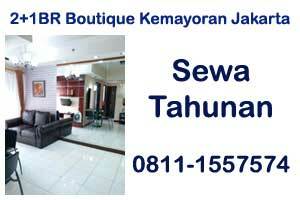 Strategic location at TB Simatupang street. 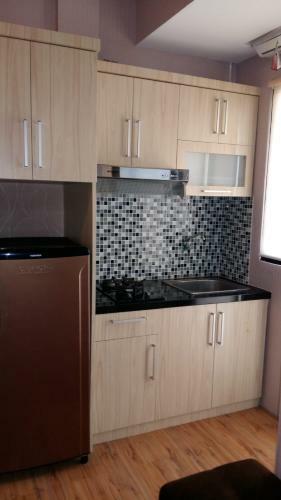 Unit will be available starting 25 March 2019. 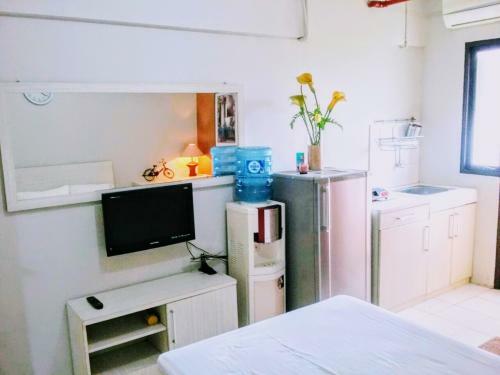 Additional Info: Fresh air, near to TB Simatupang (Jakarta’s Outer Ring Road-Toll JORR), Tanjung Barat Train Station, Airport-Bus stop Pasar minggu, Pertanian Busway / Trans-Jakarta Shelter. 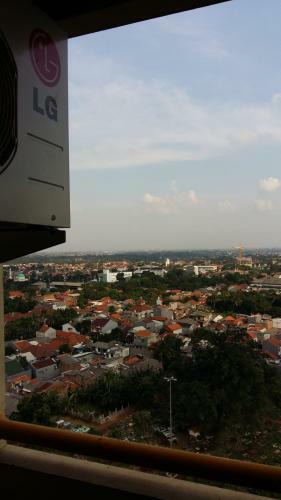 Office buildings (Nestle, Aneka Tambang, Siemens, Arcadia Tower, Trakindo, Beltway, Elnusa, Ratu Prabu, Deparment Pertanian, etc). 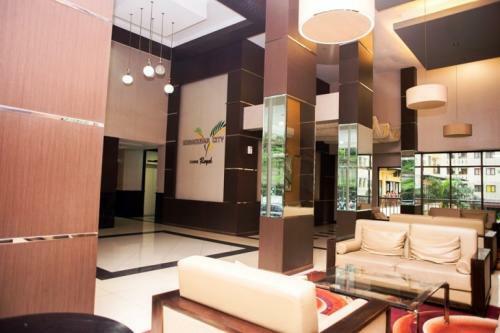 University (Pancasila, IISIP, Indonesia University, Gunadarma), Dept., Ragunan Zoo, easy access to Cilandak Town Square Mall, Pondok Indah Mall, Pejaten Village Mall. 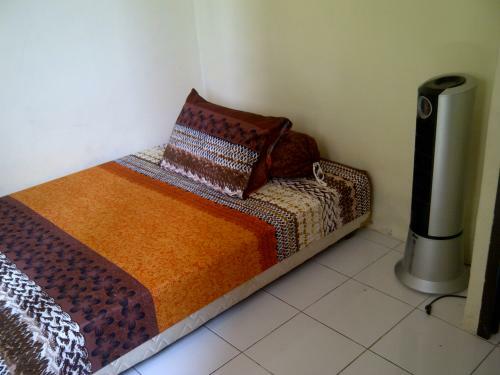 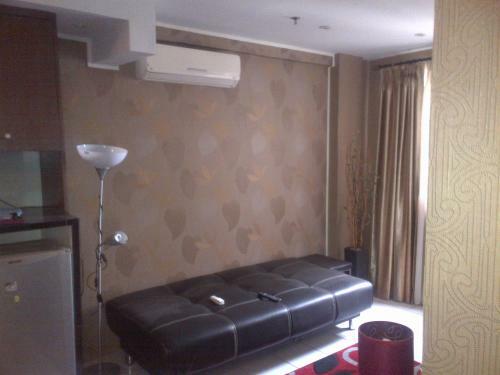 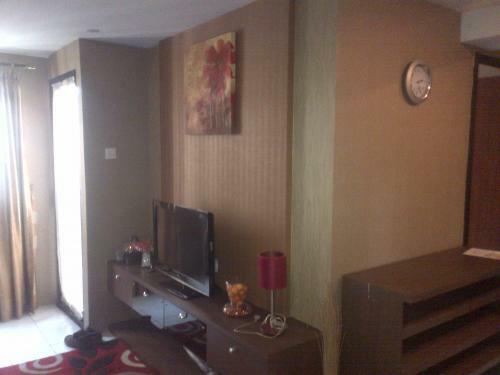 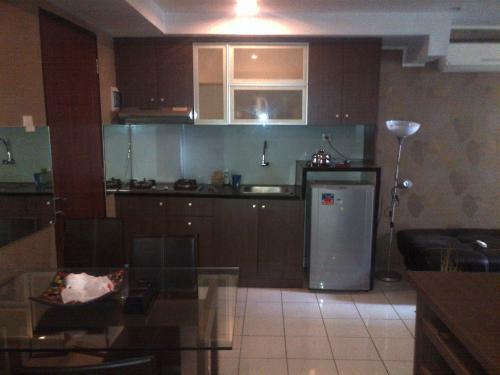 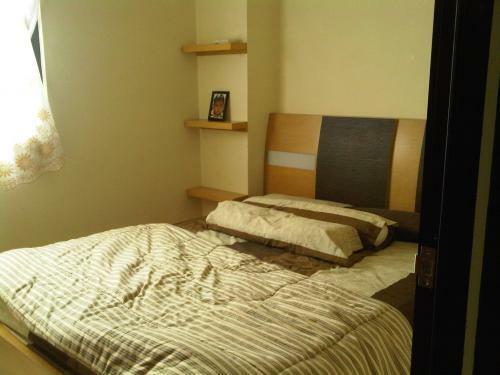 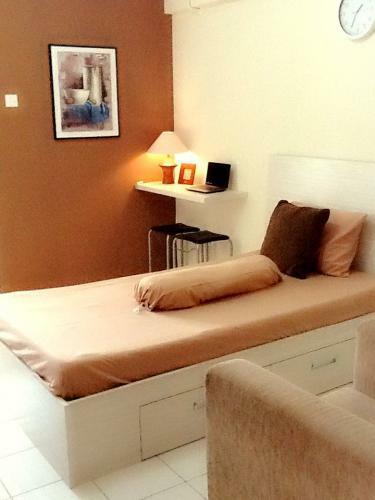 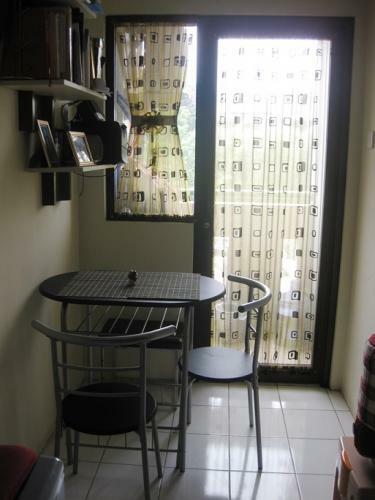 Suitable for staff or students arround TB Simatupang, Lenteng Agung, Pasar Minggu, Depok. 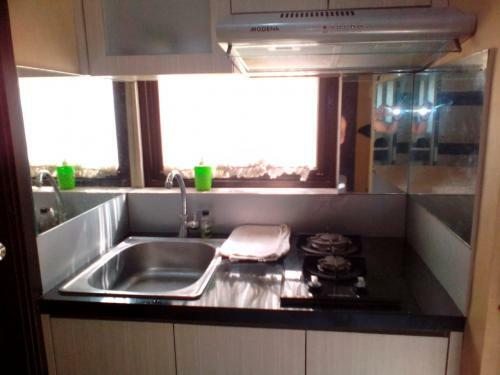 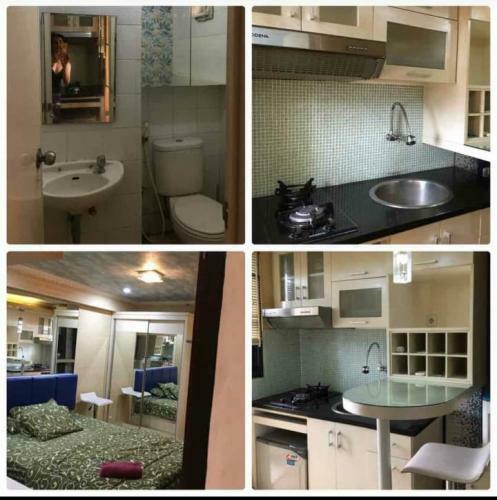 Condition: Furnished, Electric power 900 watt, 1 single bed 120×200 cm, shelves & wardrobe, AC, refrigerator, microwave, Flatscreen TV, DVD player, iron, fan, water dispenser, kitchen with basic cooking utensils and small dining set with 3 chairs. 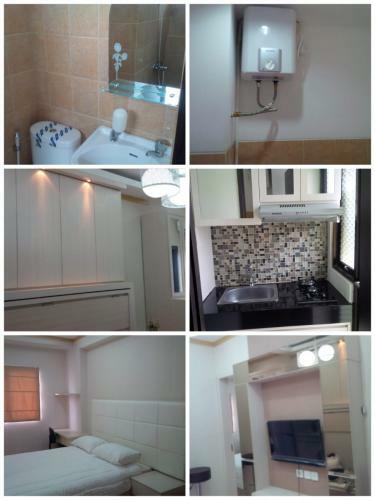 Facility: Mini market, 24 hours security, elevator with access card, swimming pool, children playground, pharmacy, laundry, canteen, parking. 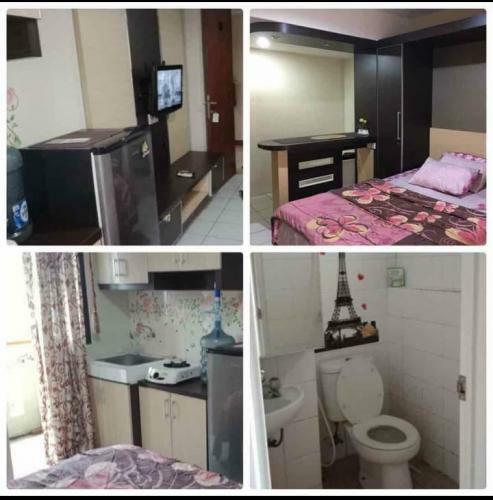 Additional Info: Close access to entrance and exit of Toll TB Simatupang, 500 m to railway Station Tanjung Barat, near distance to office buildings (Nestle, Aneka Tambang, Arcadia Tower, Trakindo, Beltway, Elnusa, Ratu Prabu, Talavera, Department Pertanian, etc), near distance to University of Indonesia, Pancasila, IISIP, Gunadarma, Busway/Trans-Jakarta shelter, Airport-bus stop Pasar Minggu, Ragunan Zoo, easy access to Cilandak Town Square Mall, Kemang area, Pondok Indah Mall, Pejaten Village Mall. 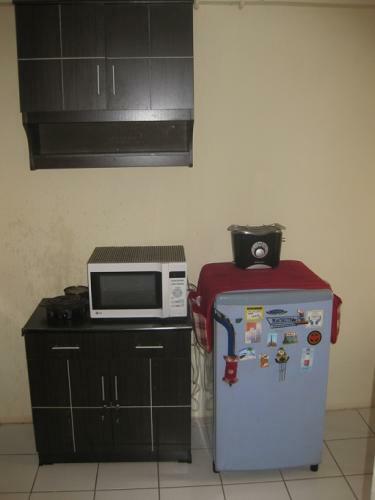 Suitable for workers or students around TB Simatupang, Lenteng Agung, Pasar Minggu, Depok. 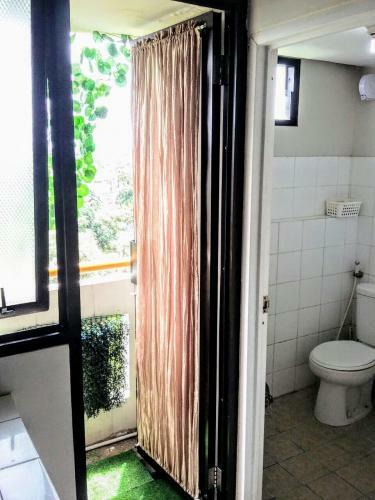 General terms and conditions: Rent charge excluding service charge and consumable costs of electricity, water, cable TV/internet subscription, etc. 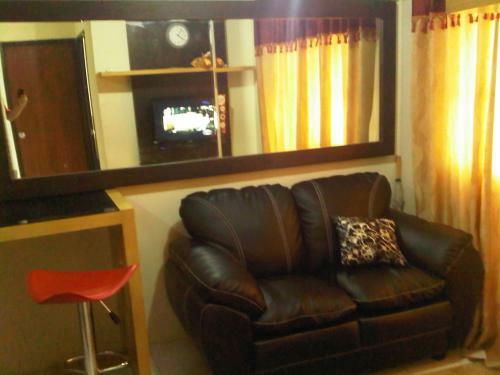 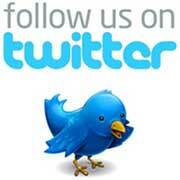 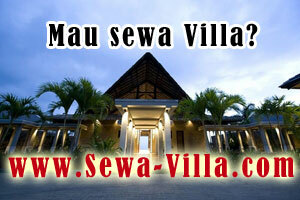 Full upfront payment of rent period plus refundable security deposit (in the amount of 1 month rental).